Studying mental health nursing at the University of Brighton enables you to work closely with people of all ages and their families as part of a versatile team of health and social care professionals including including doctors, psychologists, physiotherapists and occupational therapists. You will learn how to tailor individual care for people with a range of clinical needs. We will support you in becoming a caring and compassionate professional who delivers skilled, evidence-based care in partnership with patients,families, and communities. Our focus on interdisciplinary enriches your experience while also preparing you for professional practice.You will also have the opportunity to experience nursing abroad through our international placements. To ensure you can confidently apply theory to practice, you will spend 50% of your year on placements with local NHS trusts in varied settings, and simulate healthcare situations in our clinical skills and simulation suite. Your teaching will be based at our Falmer campus in Brighton and there are varied placements across Sussex in both acute and community settings. 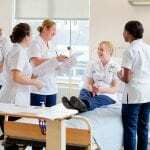 Successful graduates will be eligible to apply for registration as a nurse with the Nursing and Midwifery Council (NMC) and are entitled to practice anywhere in the UK. This course starts in September each year. This course meets NMC standards and course graduates are eligible for registration. You will be based at the Falmer campus, with clinical placements taking place at locations across Sussex including Hastings, Eastbourne, Brighton, Haywards Heath and Worthing. Our state-of-the-art clinical skills and simulation suite allows students to simulate practice in the classroom. There is a 50:50 split between theoretical, classroom-based learning, and practice learning opportunities. You’ll share learning with other health specialisms, allowing you to benefit from interprofessional collaboration, sharing knowledge and expertise. In each year of the course you engage with both theory and practice learning. The course alternates between academic terms and blocks of practice. Theory sessions in academic terms take place at the university. You will attend Monday, Tuesday, Thursday, Friday, with Wednesday often being an independent study day. Practice placement blocks are 24 or 32 hours per week and vary in length from 4–12 weeks. Your communication and interpersonal skills will be developed throughout. In year 1 you will explore the nature of nursing, and develop your clinical and communication skills, which will be assessed in both the university and practice settings. You will also study the biological and behavioural sciences that inform nursing practice. This module will introduce you to the development of your own study skills and facilitate your independent learning. A range of study strategies applicable to writing an academic essay will be offered. In conjunction with the above, the module enables you to explore nursing as a profession by reviewing nursing theory and its principal influences. 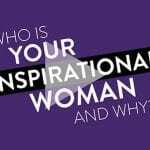 These include historical, political, professional philosophical and ethical influences. This module will introduce you to the key concepts of human qualities in nursing including relationships, resilience and skilled interpersonal communication. The module will enable you to reflect on the use of self in nursing and will offer academic support in relation to the development of intra-nurse skills, building resilience and to enhance existing interpersonal communication skills. In this module you will develop a fundamental knowledge of human structure and function. This will enable you to apply this knowledge in order to gain an understanding of the clinical experiences encountered in Year 1. This module will introduce you to a range of ideas from the psychosocial traditions that will enable you to develop an understanding of nursing and its context. This module will introduce you to the knowledge and skills required for professional nursing practice. The module content includes the theory and practice of care, compassion and communication, organisational aspects of nursing care, infection prevention and control, nutrition and fluid management and medicines management. You will integrate learning from practice and university in the development of your professional nursing practice in order to meet the Nursing and Midwifery Council (NMC) Standards for Pre-Registration Education (NMC 2010). In year 2 you will continue to share some modules with students from other related disciplines, for example public health and research, and one option module, eg arts and health, global health and international exchange modules. You will also study modules specific to mental health nursing and continue to develop your clinical skills in practice settings. In your final year you will continue to specialise in the field of mental health nursing, and will focus on more complex patient and client needs. You will also undertake a dissertation and begin to develop management and leadership skills as you prepare to enter professional practice. Located on both our Falmer and Eastbourne campuses, the nursing skills zones are fully equipped open access areas so that you can practice your skills at a time to suit you. You can practice skills including ECG electrode application, sterile glove application, nutritional assessment, basic life support, aseptic technique, urinalysis, physical measurements, personal hygiene, catheterisation, peak flow measurement, administration of medicines, A-E assessment and physical assessment. You can book a nursing PASS leader to help you in the skills zones. Our PASS (Peer-assisted Study Sessions) project is a student-led scheme where issues relating to your course material and student life can be discussed in an informal environment with peers and trained student facilitators. Within the School of Health Sciences we are committed to providing a global perspective to nursing and midwifery education. As such we offer a range of international English-speaking exchange placements to Nursing, Midwifery and Paramedic Practice students. All of our international placements are fully supported and academically credited. International placements are only with partners with which we have an agreement – this ensures a good quality learning opportunity and safe experience. There are no costs for organising the placement for students who wish to travel to Europe, USA (Midwifery) or Australia (Nursing). If you wish to experience nursing in Africa, Asia or South America then your trip will be arranged through the Work the World organisation, for which there is a cost. Two-week observational placement with one of 25 institutions across 13 European countries in our European Nursing Module Network. For more information on our European partners and network please visit the European Nursing Module Network website. For an insight into what life is like on a study abroad placement, have a read of Sabrina Barnes' experience in our Student Views below. Observational placements of up to three weeks in Africa, Asia or South America through the Work the World organisation. Hong Kong Polytechnic University – two-week summer school experience (not credited) which focuses on Chinese medicine and nursing. There is no cost for attending this summer school. We provide guidance with sourcing accommodation, visas, occupational health checks and insurance. You will be connected with a key personal contact for each partner and have access to online support from the university whilst you are abroad. All students who take part in a study abroad experience identify its immense value, whether through hosting visiting students or participating in an exchange. We share all students' experiences through our newsletters and through the student ambassador project. Jessica has great enthusiasm for nursing and for her subject area of acute clinical practice. She is renowned for the many innovative and fun methods that she uses to teach students. Jessica started her nursing education at the University of Brighton, in 1998. The novel European nursing course that she undertook meant that she learnt Dutch and worked for 6 months as a student nurse in Utrecht, The Netherlands. Following her graduation she commenced a rotational post in Hurstwood Park Neurological Centre. Next, Jessica embarked upon critical care training and subsequently became a Clinical Nurse Specialist. Within this time she completed her Practice Teacher qualification and then continued to gain her Teacher status with the Nursing and Midwifery Council. Jessica has successfully studied for a masters degree at the University of Brighton. This gave her the opportunity to join the School of Health Sciences in 2011. If you have recently applied to Brighton for one of our nursing BSc(Hons) courses (adult, child or mental health), or our midwifery BSc(Hons) you may have received an invite to attend an interview. As part of our commitment to providing a global perspective to nursing and midwifery education, we offer a range of international English-speaking exchange placements to our nursing (adult, child and mental health), midwifery and paramedic practice BSc students. This course provides an excellent foundation for work in numerous healthcare contexts and for further professional development in clinical practice, education, management and research. Our mental health nursing graduates have developed successful careers in both hospital and community settings. Many of our graduates leave university with a firm offer of employment from their sponsoring trust. After a period of consolidation and further study you can work as a specialist practitioner in the community in areas such as community mental health nursing. Acute care also offers a range of roles, for example caring for people needing crisis intervention. Successful completion of the course will enable you to access further academic study at masters and doctoral level. with Access course – maths and English. A wide range of other qualifications will be considered on an individual basis, eg Open University K101. ability to follow a shift pattern that could cover any part of a 24-hour 7-day cycle. Successful completion of our Health and Social Care Practice foundation degree with 120 credits at level 5 may enable you to start in year 2 of our nursing degrees – Nursing (Adult), Nursing (Child) or Nursing (Mental Health). If you are invited to interview, we will need to see your certificates that allow you to meet our academic entry requirements for the course you have applied for. If you need copies of exam certificates, please contact the appropriate examination board. Schools do not usually keep copies of exam certificates. However they should have a record of your results and we will accept a certified letter from your school, listing the grades that you achieved. When will I hear the result of the interview? Normally, you should hear within two to four weeks of the interview date. However, during busy admissions phases and when public holidays fall in this period it may take a little longer. What can I expect in the maths and English test? Nurses need to be able to calculate medicines, nutrition, fluids and to apply number skills to other areas. This is now a requirement of the Nursing and Midwifery Council for all prospective nursing students. On the day you come for interview, you will be set assessments that test your maths and written English skills. The tests last for 30 minutes. Calculators are not permitted in the maths test. We recommend the following website to brush up your skills: www.open.edu/openlearnworks. See a sample numeracy assessment paper (pdf 54Kb). 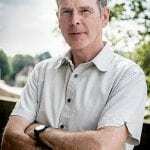 "I had reached a point in my life where I wanted to spend the majority of my time doing something that I felt was worthwhile, something that was people-orientated and not about making money. I also wanted a career with variety, where I would constantly be learning new things and have opportunities for professional progress as well as personal development. Nursing fulfils these criteria and lots more besides. "I love being on placement, where I can start putting the theory into practice by actually getting involved in procedures and helping the patients; even as a student you can really make a positive difference to someone's day. I have also made some great friends and contacts." "In May 2017, I was lucky enough to spend 2 weeks in Kathmandu, Nepal on placement in three different paediatric wards; general medicine and surgery, neonatal intensive care and paediatric intensive care. In this time, I was able to learn how different the Nepali culture was and both the differences and similarities between nursing in Nepal and the UK. "I was also able to learn a lot about myself and my own nursing practice and share some of my experiences with the Nepali nurses. I had never travelled alone before so even before I got to Nepal, I had done something new and when I got there, I was able to meet lots of other nurses doing exchange placements from across the world. This enabled me to learn about other people’s experiences of healthcare and I also met friends that I went travelling with recently to Pokhara, Nepal. 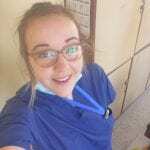 "My experience in Nepal taught me a lot about family centred care and I have been able to take this in with my nursing practice as a qualified nurse. In particular my time on the intensive care unit in combination with my second year placement on HDU, inspired the title of my dissertation, which had a focus on supporting family involvement in intensive care environments." "Without doubt, I'd say the best aspect of the course has been the university staff – they have been unfailingly helpful, informative and wise. "I'm truly enjoying the course, although speaking as a very, very mature student, it has been really tough. "Throughout much of the second year we received direct input from service users; some of the stories these people brought to us will stay with me forever."